Five hours of I Ain’t Been Shot, Mum: a meeting engagement, slug fest of fun fighting for the Hill. Axis troops quick to advance but Allied artillery pulverised one flank. 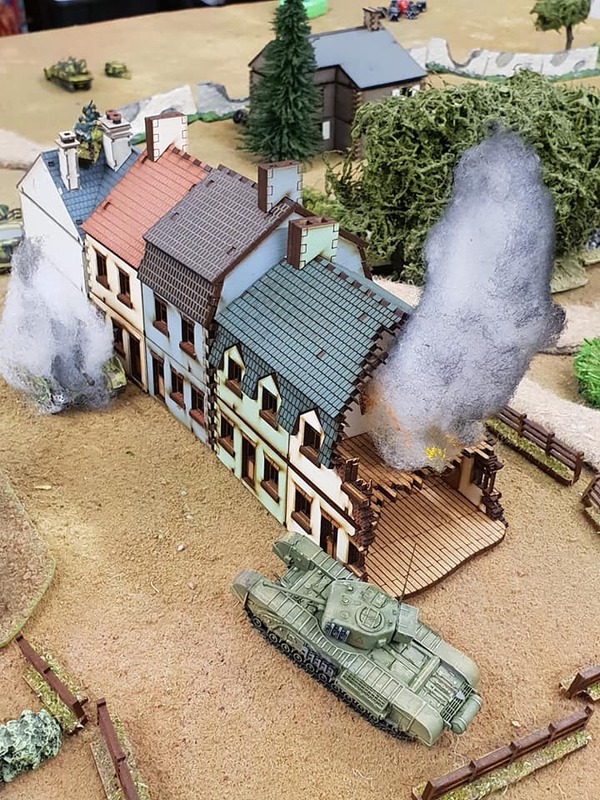 Axis Panzerschreks and a troop of Panzer IVs really battered the Allied armour, and a quad 20mm Flakvierling drove off several Typhoon attacks. A draw?